I’ve been missing the challenge of cooking with (almost) only what’s provided in a CSA box each month/week, and have decided to join a meat CSA + a salad CSA this year. The meat CSA is monthly with no commitment, and the salad CSA will run from June – October. ButcherBox is the meat source I’ve chosen for at least these first few months of Spring/Summer – I have another in mind that’s more of a 3-month commitment, but juuuust missed the quarterly cutoff date for signup. ButcherBox offers a selection of meat from 100% grass fed/grass finished cows, pastured chickens, and antibiotic and hormone-free pigs that have led presumably happy lives. Each standard box features 8 – 11 pounds of meat and costs $129 with free shipping. According to ButcherBox, this equals out to 18 – 25 meals of 6 – 8 ounce portions for just under $6.00 per meal. They also offer larger box, but since I have a family of 2, I think the smaller will do. They also have a promotion going on for a free pack of sugar-free bacon with your first box. And, they’re also heavily promoting with promo codes right now. If you sign up using this link: http://fbuy.me/fsNdv, you get $10 off your first box and I get referral bucks for sharing the love. The shipment came in a sturdy cardboard box with heavy wrapping and dry ice. All items were loaded into the nice freezer bag you see, and my apartment building actually didn’t notify me on time of the delivery – so mine sat in the mail room for 24 hours before I could get to it … and the meat was still frozen. Color me impressed. I based my serving estimates on 4 ounces per person. If everything goes according to that (admittedly ambitious) plan, I should have 36 servings of meat. With a family of 2, that should make 18 meals – or 4.5 weeks of dinner if we eat 4 home cooked meals a week. Since I generally only spend about $100 on groceries per week, $129 for a months’ worth of at least dinner meat seems like great savings – especially when you calculate in the cost of great quality meat when purchased somewhere like Whole Foods. 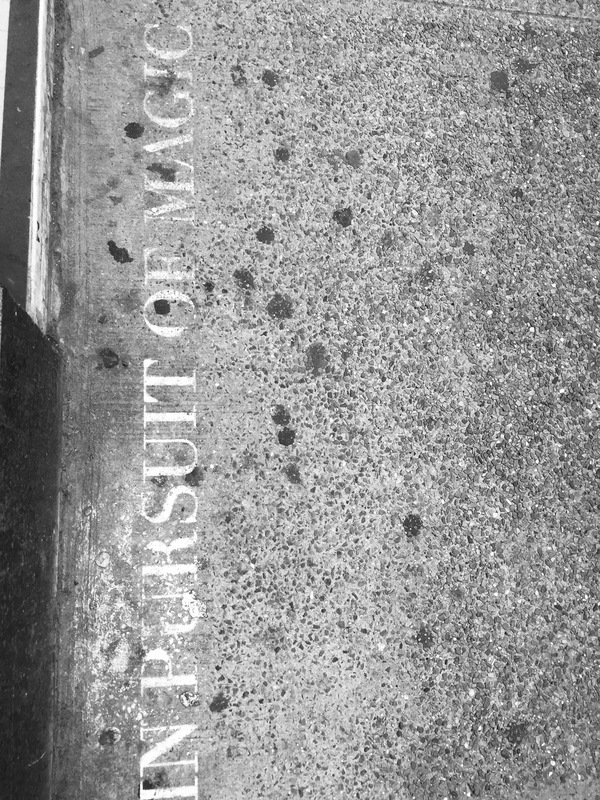 That ish is prohibitively expensive. The first thing I made was Nom Nom Paleo’s Kaluah Pork in the Instant Pot with all of the pork. I wanted a big hunk of meat I could grab at will over the next week (turned into 2) because I was going to be extra busy and wouldn’t be cooking regular dinners. I also used a few slices of the bacon here and baked the rest up so I’d have snacking bacon + some yummy bacon grease to cook with. The “Country Style Pork” was really chunks of what appeared to be shoulder cut into hunks that looked to be either nice chop or something else sized. When faced with unspecified pork, I did what I always do – went low and slow (or in this case, faked low and slow with machinery). The pork made 8 servings: 4 dinners (2 pork and pineapple fried rice, 2 pork & cabbage), and 4 lunches (pork & kale salad with pineapple, pork & cabbage with an egg, pork tacos). I noticed with the pork the recipe I made tasted a little better than usual. This method of pork cookery is not my absolute favorite, but was the one I trusted more in a pressure cooker, since I’m not terribly comfortable with the ratios and times for that piece of machinery yet. The sirloin steak made 2 servings: I only got 1 dinner out of the sirloin steak because I didn’t have the heart to break up a steak into smaller components – it just felt like sacrilege. I had intentions of marinating the steak and doing something schmancy, but just ended up pan frying them with the bare minimum of seasoning to eat with some leftover cabbage and butter. So much for the chimichurri I was craving. The steak was fantastic, and I’m so happy I didn’t attempt to split it up into smaller meals. I know I said 6 meals up above, but that’s just crazy talk and I suspect my math is terrible. I could have maaaaaybe split it into 4 portions for two 2-serving meals, but damn that would have been sad. So, 1 happy meal it was – even with an uninspired fridge cleaner side. I grabbed 1 of the 3 blocks of chicken tenders and roasted them tossed in a bit of ranch seasoning with veggies. The chicken was great – maybe it’s psychosomatic, but I really think the chicken was moister – even though the tenders were thin strips, and I baked them aggressively (400F for 30 minutes). They weren’t entirely rubbery on reheat, either. I got 2 dinners + 1 lunch out of the block. The third block of chicken I did a Thai-inspired kefir marinade on and cooked off to have on hand for lunches (3 servings). The chicken made 9 servings: Each serving was 3-4 tenders or roughly 4 ounces. I made simple steaks out of one package of ranch steak – just broiled quickly with a little butternut squash on the side. The ranch steak made 2 servings with 2 servings left over for next month. 31 total servings meat out of roughly 23 lunches and 19 dinners I usually make a month (When we’re behaving, we eat about 71 servings of meat a month at home between the two of us – I make 4 dinners for 2 a week, and I eat between 4 and 5 lunches at home; the DH eats 2 – 3 lunches at home per week). Some months are more; some are less – depending upon our schedules. This month featured more meals out than is ideal – but, I didn’t buy any meat this month at the store outside my ButcherBox, and I have lots of leftover meat – so there’s that. So .. is this saving me money? I estimate that I spend roughly a third to half my weekly food budget on meat – so about $30 – $50, and that meat is generally a mix of “good” stuff and “regular” stuff – just depends on the store I go to – but realistically, we’re usually only buying grass fed ground beef. The rest is whatever Trader Joe’s or the store we’re at has on hand. Unless it’s a Whole Foods week, then I just buy less meat because $$$$$ shock. 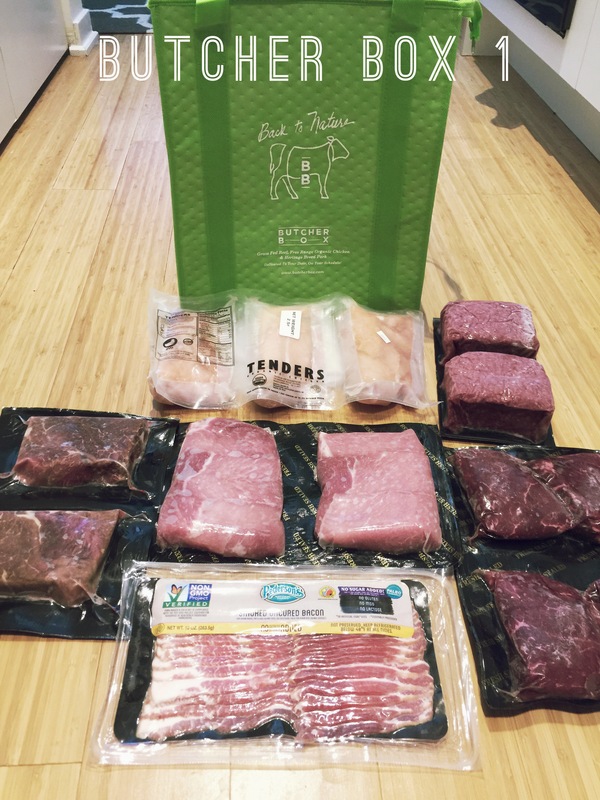 With what we spent at ButcherBox for the quality of meat we got – I think we saved money? I’ll have to give it a few more months to see if we actually did, but this month has at least provided us with the assurance that we have great quality meat in the freezer on hand for whenever we need it. If nothing else, that’s worth something – especially since I didn’t have to schlep all the way to Whole Foods and be aggravated about the ratio of #1 and #2 to #4 and #5 meat available. I also avoided the trap I fall into of either just buying the cheapest “good” stuff available and dealing with the consequences to my menu planning or grabbing an overpriced hunk of something because the energy expended in rapidly changing plans 57 times in the span of minutes because WF doesn’t have what I want has exhausted me to no end. Dinner: Another attempt at a protein smoothie + I made a slow-cooked whole chicken with root veggies and lemon and wine. Which I did not eat, but did my wifely duty and left for my DH so he wouldn’t *have* to eat delivery Indian food. Dinner: I had intended on eating some of that leftover chicken I made yesterday with zoodles, but decided to get in a good workout before a late appointment so did not. The DH finally broke down and had pulled pork. I ended up grabbing a handful of nuts at the house and some deli food while out. Lunch: A dupe of yesterday. Purchased separately by the DH – and he forgot the receipt, but I’m guessing he spent $20 – $25 at Trader Joe’s. Probably less. This week, I spent $57.99; $43.01 under budget. Yay in theory – though we really didn’t save any money, since we ate out more than usual. At the end of the week, I have some scallions, 1 sweet potato, and a tiny steak left over. For my family of two adults, I spend roughly $400 a month on groceries or $100 a week – and we eat well. Not caviar and lobster well, but I do manage to serve a predominately paleo diet with little to no processed foods, and I get to throw in a few luxuries here and there (like expensive snacks for the hubbs and the occasional ridiculously expensive bag of coffee). We even manage to buy “good” meat (grass fed beef and free-range chicken) most of the time – and I make this budget work even on the weeks we pay for convenience by getting delivery groceries. I make: 10 breakfasts, 5 lunches, and 10 dinners a week – plus enough snacks to satisfy and fuel two active adults. 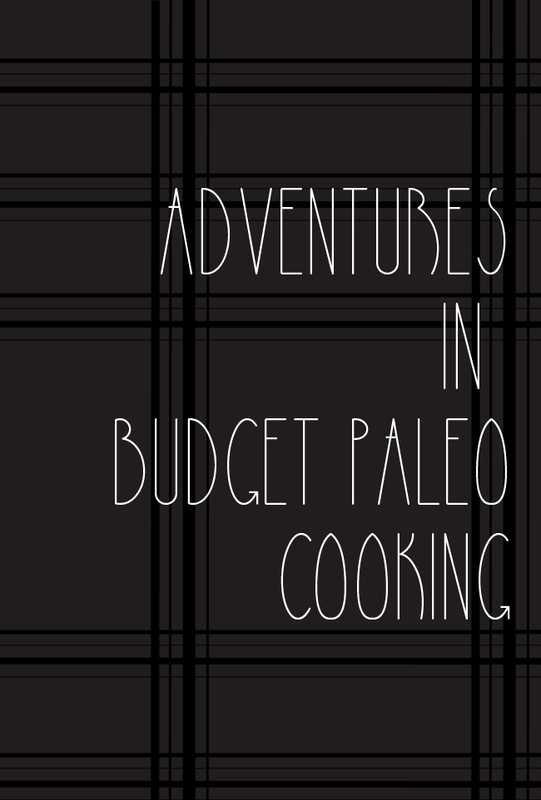 I’m hoping that this series will help shed a little light on the day-to-day things a “paleo” person really eats — and how that way of eating can work on a budget. I want to nudge anyone sitting on the fence right over the edge by showing that it *can* be done and that you don’t just eat meat, meat, meat and more meat. Carryover from last week: ?? This week, I spent $78.08; $21.92 under budget. I have kind of sucked at grocery shopping, meal planning, and eating dinner in general lately. My last CSA shipment hit about 2 weeks ago (more on that when I finally use the last few items), I was traveling and then sick, my DH and I have both had hectic schedules, and things have just been generally chaotic around dinnertime lately. This week, I actually went grocery shopping and was happy that I got to make 2 whole meals at home for the two of us. My Tuesday/Thursday night schedule is going to remain kind of difficult around the time I usually eat dinner throughout the next few months, so I’m going to have to either forcing some really early dinner on myself or figure something better than a couple granola bars or some deli meatballs out to do to feed myself. At the end of the week, I have a whole chicken, a few carrots, some parsley, some scallions, an onion, 2 sweet potatoes, a pound of ground beef, and a tiny steak left over. This week, I spent $81.07; $18.93 under budget. Whoo hoo, overages! At the end of the week, I have a bunch of CSA veggies, the chicken I bought, some burgers and a few other random items left over. I need to incorporate these items into my menu for next week. This week, I spent $61.80; $38.20 under budget. At the end of the week, I have some parsley, kale & green tomatoes, plus burgers, lamb kidneys, a chicken leg, and a tiny steak left over from my CSA. I need to incorporate these items into my menu for next week. This week, I spent $110.16; $37.77 under budget. At the end of the week, I have lamb kidneys, riblets and shanks, burgers, ground beef, a little chicken, a little steak, cucumbers, serrano peppers, green tomatoes, kale, parsley, lettuce, and a pumpkin left over. I need to incorporate these items into my menu for next week. This week, I spent $52.07; $47.93 under budget. This week, I was mostly uninspired, did zero meal planning and only had a rough idea of what I had on hand while I was at the grocery store. Luckily, the DH was out at work one night so I could scrounge and I chose well with something that cooked quickly (cheddarwurst) + a side that didn’t need to be cooked at all (snap peas). At the end of the week, I have half a chicken, lamb shanks, burger patties, lamb kidneys, a couple cucumbers, 2 peaches and a handful of radishes left over. I need to incorporate these items into my menu for next week. This week, I spent $131.07; $4.77 over budget. Whoo hoo! Only $5 over for the week. At the end of the week, I have a bunch of CSA veggies and meats left over. I need to incorporate these items into my menu for next week.